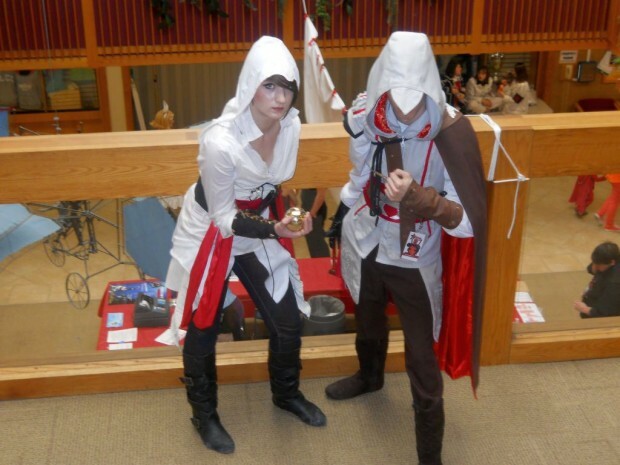 On March 22 and 23, a sea of colorful costumes filled the Taylorsville Redwood Student Event Center as fans celebrated their love for anime, games and comics. Anime Salt Lake was sold out with over 2,300 paid attendees in its second year, which was nearly double last year’s numbers. The convention featured voice actors, radio DJ’s and over 70 events over the span of the weekend. 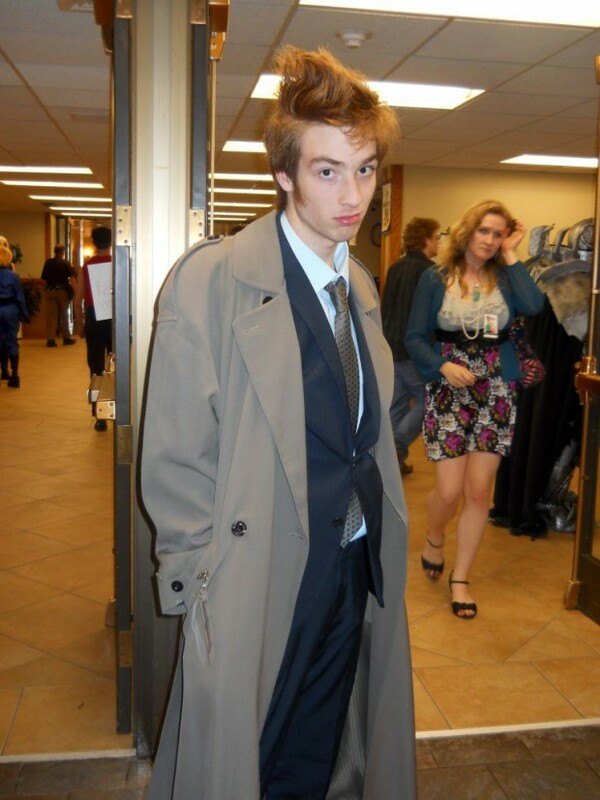 “That’s part of the fun of anime is going to these conventions and dressing up,” said voice actor Chris Rager. Many attendees dressed up as their favorite character for the convention, and it was common to see people posing for photos for fellow fans, such as Link from The Legend of Zelda getting his photo taken by The Doctor from Doctor Who. Cosplay is the term for dressing up in costume and assuming the character’s personality. The Anime Salt Lake cosplay contest had 40 entrants with awards being given for Best in Show, Best Dance Skit, and more awards like best improvement and craftsmanship. The cosplay contest took place in the Copper Room, but had to be live streamed to another room in order to accommodate the number of fans viewing the event. The convention also had other competitions such as a video game tournament featuring finals for Ultimate Marvel vs Capcom 3 and Persona 4 Arena. The finals were streamed live on Twitch.tv, and over $200 were awarded in cash prizes for tournament winners. Other competitions included battle cosplay and an anime music videos (AMV) competition. Battle cosplay is a tournament where teams of cosplayers battle each other in Dungeons and Dragons style matches. AMVs are judged on a number of factors including synchronization, editing and content. Awards included audience choice, funniest video and best action. Rager hosted the Batsu Games alongside Fox 13’s Big Buddha and also had a personal Q&A session with fans. Rager is best recognized as voicing Hercule from Dragon Ball Z and Mr. Torgue from Borderlands 2. Britson served as host for most of the convention’s main events and had his own 18 and over comedy stand-up session as well. Britson is best known from Boise’s 100.3 The X. The convention also featured an artist’s alley and bazaar where local individuals sold art, services, used books and films and a dealer’s room where local business like Dr. Volt’s Comic Connection, Game Haven, Sage Market and local comic book artist and writer Carter Reid set up shop. Dealers were not limited to only local businesses; other companies like online shirt store Shark Robot and Closet Otaku were there as well. 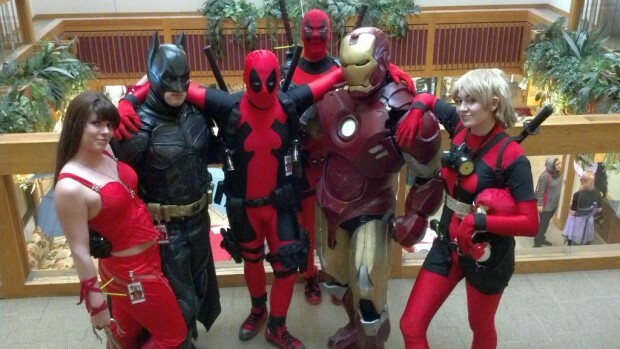 Elektra, Batman, Deadpool, Iron Man and Lady Deadpool visit the Student Center for Anime Salt Lake. A fan dressed up as The Doctor. 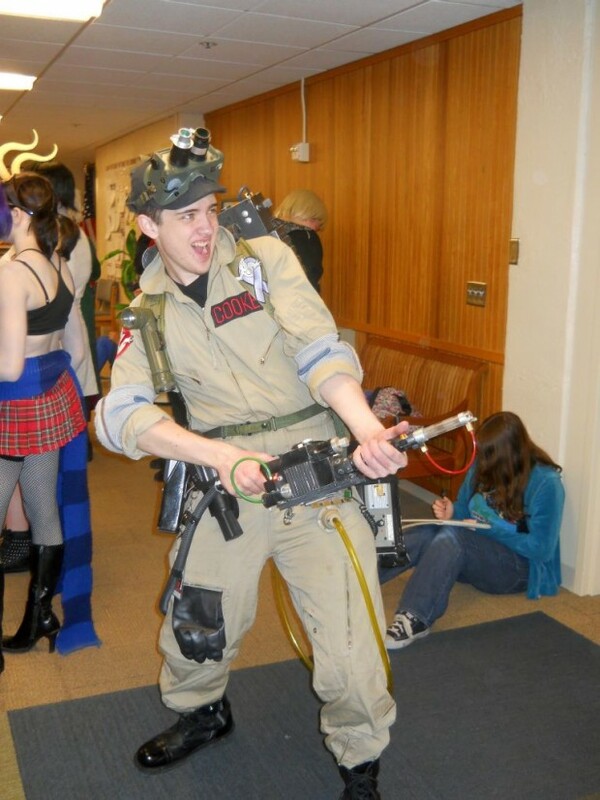 A fan dressed up as a Ghostbuster. 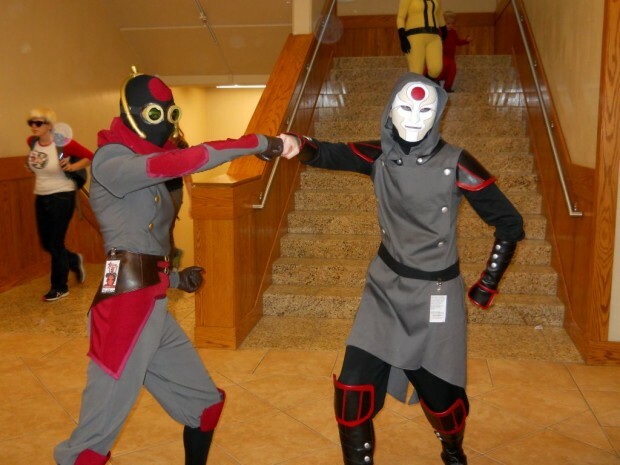 Fans dressed up as Amon and his lieutenant from Avatar The Legend of Korra.